Pedagogy has always been important for successful languages education, although in the second half of last century it may have been undervalued in the UK, where many have identified a general lack of concern with educational theory. In recent years this has changed, partly to meet the challenges of comprehensive education for all, but also in response to new influences from social pedagogy. There has also been more governmental influence on pedagogy as the educational stakes have become higher. Some of the reasons for this in relation to languages – and possible implications for policy are set out in this article from 2002 – Improving the Quality of language learning in schools. The thinking behind this also influenced the government’s 2006 Consultation Report for the Languages Review co-authored by Lid King and Ron Dearing. Although with hindsight we might now want to change some things the document still stands as a contribution to current debates. Pedagogy can be thought of in simple terms as the science or art of teaching. 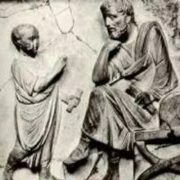 It has a long history, and the term itself is derived from the activities of the ancient Greek paidagogos : the “guide of the child” who was different from the didaskalos (teacher/instructor). There have been many debates about pedagogy over the years, some of which are outlined in this short Overview. Critically, however, there has been a distinction between the activity of teaching (pedagogy) and both the content of what is taught (curriculum) and the organisation of education. Pedagogues have also sought to develop frameworks for teaching – stages such as Preparation, Presentation, Association, Generalisation and Application, which have a clear resonance with some modern ideas of the stages of language teaching. Some would also maintain that pedagogy is much broader and deeper than a teaching methodology ,involving a collaboration between teacher and learner and the development of the whole person. One major influence in this area has been the work of Pestalozzi. A good starting point for discussion is the work of the Council of Europe, and specifically The Common European Framework of Reference, which is much more than a set of level descriptors. It is a comprehensive description of the processes of teaching, learning and assessing languages. As well as the text itself a summary and background information can be found on the Council of Europe website. 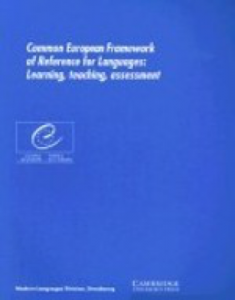 Although the Framework claims to be neutral as far as any particular methodology is concerned and does indeed provide the means to analyse a wide range of approaches to language learning, it is clearly based in the context of the Council of Europe’s earlier work on Communicative Language Teaching (CLT), in particular the development of what was called Threshold Level and the seminars and guidance which supported it. An excellent summary of the work of the Council of Europe in this field was written by John Trim in 2007. The main purpose of CLT is to facilitate the development of the learner’s functional communicative competence, in contrast for example with earlier – more traditional approaches – such as “grammar/translation”, the aim of which was to acquire an understanding of forms of the language, or the audiolingual approach which was prevalent in the 1960, based on a behaviourist learning theory of “operant conditioning”. The essence of this approach was drilling and memorisation based on repetition of prepared structures and phrases. Communicative Language teaching conceives of language learning as a social activity, emphasizing the social roles of speaker and listener. It is learner centred, based on an identification of learner needs and it is centred around the learner’s involvement in meaningful interaction with language (“meanings that matter”). A key aspect of Communicative language teaching and the associated pedagogy has therefore been the importance attached to learner autonomy – an idea which challenges more teacher-directed forms of teaching. Since the 1990s much work has been done on developing autonomy in language learning. There has always been a link between CLT and Cultural Awareness, which became popular especially in the Anglophone world in the 1980s and 90s. More recently more consideration has been given to the related but not identical concept of Intercultural Competence. The assumption is that there must be something worth communicating – a meaning that matters) and that one of the points of language learning is to appreciate the ‘other’ which is also a way of establishing a sense of self identity. One of the most common misconceptions about CLT is that it precludes any formal teaching about language (grammar). Certainly in Council of Europe descriptions and guidelines it is clear that communicative does not mean grammar free. Much attention has in fact been given to the development of a “communicative” or functional grammar. Even so the debate – or pendulum swing – between on the one hand acquiring language for use (communication) and on the other learning about the forms of language as an end in itself (grammar) is one that continues to impact on thinking about language learning and teaching. A more detailed consideration of some of these issues including some further reading can be found here. to teaching and learning through National Frameworks and also the non statutory guidance of the Qualifications and Curriculum Authority (QCA) and regular subject reports of OFSTED. The Key Stage 2 and Key Stage 3 Frameworks for Languages were particularly influential. CILT – the National Centre for Languages – also supported teachers in developing their understanding of the processes of teaching and learning through a comprehensive programme of CPD and publications. Although there was some concern that this approach could be too directive, provision was broad and this encouraged considerable debate and development. In recent years, however, policy in England has moved away from central recommendations or detailed guidance. The Frameworks are no longer policy and both CILT and QCA have been closed. OFSTED is much less active on subject matters. The new Programmes of Study make some statements about languages which may imply a certain pedagogy but they are extremely brief. In Scotland the “Curriculum for excellence: modern language principles and practice” has rather more to say about the importance for example of communicative competence and intercultural understanding. However difficult the context, language teachers (and learners) continue to think about the processes of teaching and learning, and to develop new ideas. A number of initiatives may therefore be of interest. The British Council is increasingly active in supporting language learning in the UK through its international Schools Online portal, including the International Schools Award. It has specifically explored innovative pedagogy in conferences such as Think Differently, which gathered schools and educationalists who are trying out new methods of language learning. The Association for Language Learning (ALL) is the UK’s major subject association for teachers of modern languages. In addition to its conference and discussion programmes, ALL produces a number of key journals including the Language Learning Journal. 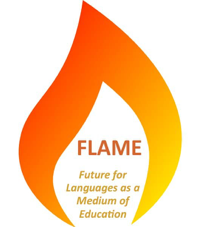 ALL is at present developing a CLIL project called FLAME – Future for Languages as a Medium of Education, aiming to support the integration of language learning with other curriculum subjects. ALL is an invaluable source of CPD for teachers through its regional and local representation , and its resources. The Scottish Association for Language Teaching (SALT) fulfills this role in Scotland. NICILT and SCILT are the national language centres for Northern Ireland and Scotland, providing resources as well as cross-sector support. 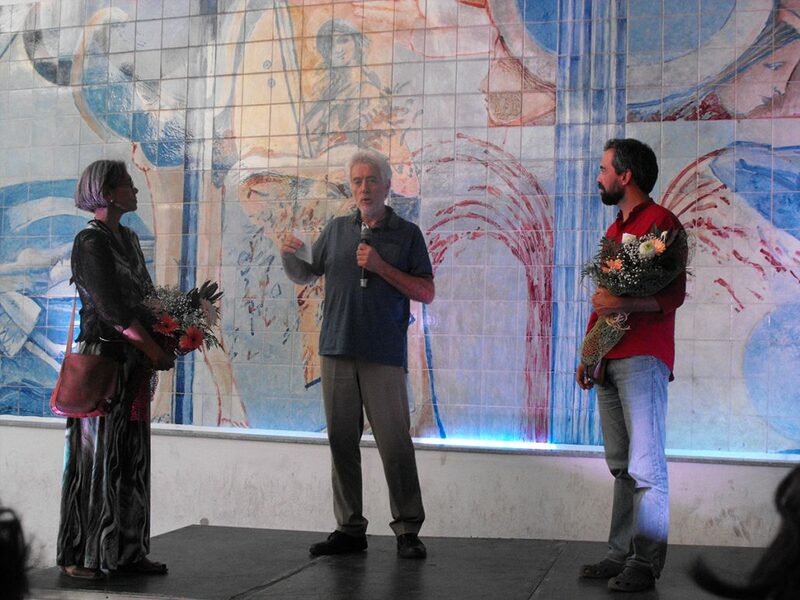 They also offer events and conferences supporting language learners and teachers. The focus now in relation to Communicative Language teaching may relate more to a societal context where many languages are spoken and learned and the consequent need to develop a more plurilingual approach to language learning. This was something discussed for example in the 2010 report – Languages in Europe towards 2020. A related topic is that of Content and Language Integrated Learning (CLIL), which is the focus of the FLAME project. National guidelines were published in 2009 , and although the context has changed much of the advice and the examples given are still useful. Technology is of course having a major impact on teaching and learning. Although it is a moot point how much this actually changes the fundamentals of pedagogy, we would contend that there have been some significant advances which are allowing for greater learner involvement, and indeed communication and creativity. A reflection on these issues can be found in this extract. 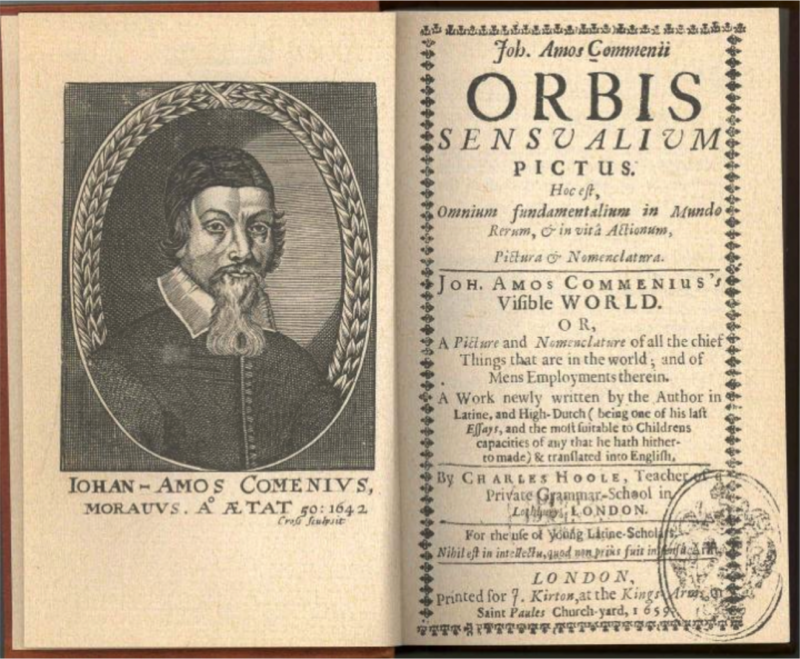 One very striking recent example of the use of technology to support learners’ creativity is the Critical Connections multilingual storytelling project coordinated by Goldsmiths College. 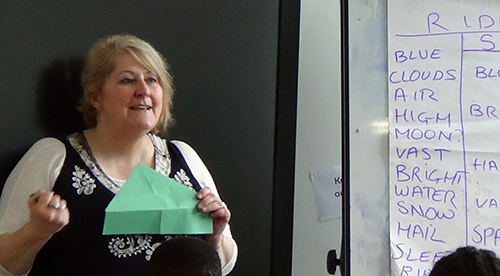 Creativity was also a focus of the recent TALES project which used both traditional and digital story telling approaches to help and enthuse learners of languages. If you would like to collaborate in your project or pilot relating to pedagogy or simply to share information, please contact us.